The Rainmakers took a packed house all over the map Saturday night at Knuckleheads. The four-piece roots-rock band started in the 1980s but took breaks in the 1990s and 2000s. 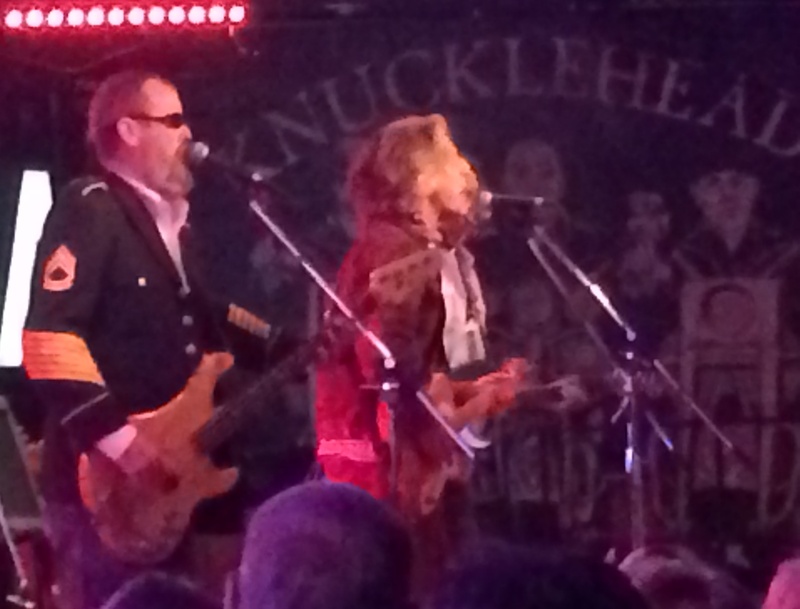 Partway through the night, Walkenhorst mentioned the group’s 25th anniversary reunion show at Knuckleheads nearly four years ago to the day. A second batch of songs were given a home late last month on “Monster Movie,” the quartet’s seventh studio album. Early in the show, Walkenhorst thanked fans who had already picked up the new album and promised everyone else a preview. He wasn’t kidding. The concert opened with “Monster’s first three tracks, and all but two of its dozen songs were played during the night. The new material wasn’t as familiar, but it didn’t take prompting to get fans to sing along to the title song and dance to everything else. That would have been a perfect ending, but the band decided to make the performance legendary. It returned to burn through another four songs, including a monstrous “Big Fat Blonde,” before finally saying good night. Even then no one, onstage or off, seemed ready to leave. As the crowd shuffled out, it had more to look forward to, because this show will be almost as much fun to relive in memory as it was to experience initially. Set list: Sh-thole Town; Monster Movie; Who’s at the Wheel; Tornado Lane; The Other Side of the World; Snake Dance; Save Some For Me; The One That Got Away; Miserable; Missouri Girl; Width of a Line; Long Gone Long; Thirteenth Spirit; Your Time Has Come; The Wages of Sin; Reckoning Day; Believe in Now; Another Guitar; Given Time; Small Circles; Dogleg; Lakeview Man; Swinging Shed; Government Cheese; Spend It On Love; Battle of the Roses; Downstream; Shiny Shiny; Rockin’ at the T-Dance; Information; Drinking on the Job; Hoo Dee Hoo; I Talk With My Hands. Encore: Let My People Go-Go; One More Summer; Big Fat Blonde; Go Down Swinging. The urgency in Kurt Neumann’s voice was so strong that he repeated the phrase twice before ending the show: “Buy ‘American Made’ and we’ll come back and play for you.” Translation: we need you to buy our new album to keep going. Neumann has a lot pushing against him right now. His band, the BoDeans, had a handful of near-hits and big opportunities in the ‘80s and ‘90s, but Neumann is determined to be something more than a nostalgia act.Sunday’s 90-minute concert at Knucklehead’s was a defiant statement. Neumann confidently mixed songs from “American Made” with the band’s classic. Most importantly proved he could carry the BoDeans without founding member, songwriting partner and stage foil Sam Llanas. Llanas may have been missed on the setlist – there was no “Feed the Fire,” “Far Far Away” or “Runaway” – but the fans flooded to the dance floor for “Texas Ride Song” and kept it crowded for most of the night. The setlist bounced between four decades of work, but the songs all carried the same earthy rock feel that defied time. The new group of players Neumann assembled in the wake of Llanas’ departure brought a freshness to the material and were playing with something to prove. Percussion player Alex Marrerro enhanced Neumman’s lead vocals with his high harmonies. 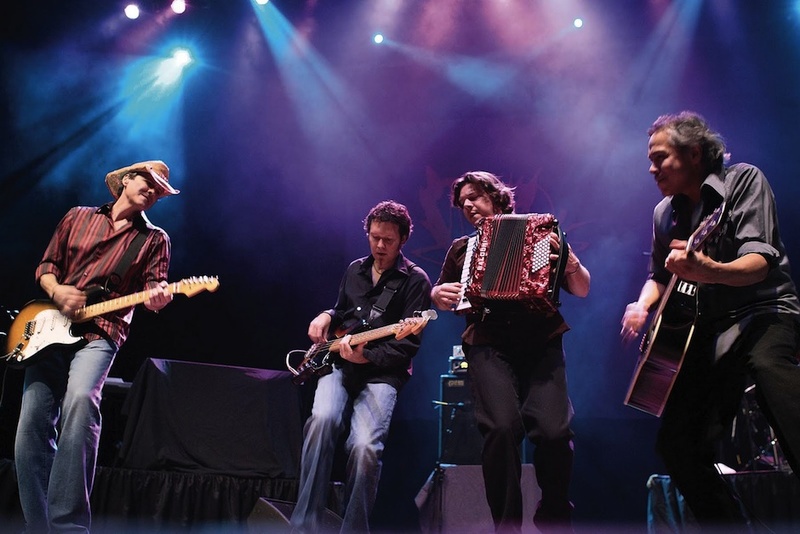 The interplay between Warren Hood’s violin and longtime member Michael Ramos’ accordion and organ often recalled the roots/zydeco sound of John Mellencamp’s heyday. During “The Ballad of Jenny Rae,” guitarist Jake Owen slipped in a tribute to Deep Purple’s Jon Lord. Between songs, Neumann was chipper, explaining how a snowstorm in Montana inspired “Idaho” (the title state provided an easier rhyme) and plugging new single “All the World,” which is getting some airplay on CMT. The introductions to the Johnny Cash-inspired “Flyaway” and “Paradise” revealed similar themes of a positive mindset as the ultimate freedom. Neumann was smart enough to know that the road to the future will be paved with his past, closing with four fan favorites that got everyone on their feet. He called it a night with “Closer to Free,” the song that served as the theme to “Party of Five” and landed the band in the Top 10. As the audience sang along, it’s hard to imagine the message didn’t resonant with the players onstage as well. Set list: Stay On, Texas Ride Song, Good Work, Flyaway, The Ballad of Jenny Rae, Tied Down and Chained, Paradise, Idaho, All the World, Angels, American, Fade Away > Good Things. Encore: Still the Night, Closer to Free.